Today, April 12, 2016, is Equal Pay Day. For some of you, it might be surprising that a day like this even exists. This isn’t the first (or the second, or the third) time we’ve put a focus on equal pay, but it seems that no matter how many ways we draw attention to the unequal pay scale in America, change is still slow to come. While many people – whether men, Republicans, stay-at-home-Moms, or your next-door neighbor – might make excuses for equal pay in America, the honest truth is that it exists. Women on average make only 79% of what a man makes in this country. While some of you might be wondering why April 12 of all days, The Equal Right Advocates explain on their website, “[April 12] marks how long into the calendar year it takes for the overall earnings of women working full-time to catch up with what men made in 2015. In other words, women make in 16 months what men make in a year. We’ll have to work 13 more years over the course of our careers to catch up. If you’re African American, it will take even longer (nearly 28 years). If you’re Latina, longer still (over 33 years).” While some naysayers argue that women bring this discrimination upon themselves due to issues such as pregnancy leave, bad choices, education differences, or other inaccurate opinions, the truth of the matter is that women deserve equal pay and it’s about time that they should get it. 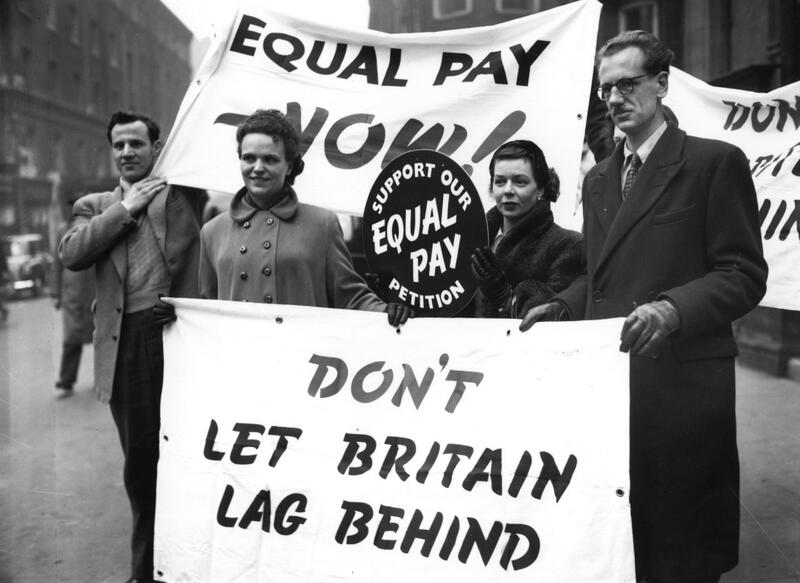 Unequal pay stems from a long list of stereotypes that have plagued women for years. Often the gender wage gap is so large because when being hired, a woman must give over so much information, while the employer reveals very little about what the men are being paid alongside similar or equal roles. When asking women to disclose their prior salary, employers are realizing that they can pay women a fraction of what a man may be getting for the same position in a company. In nearly every job category tracked by the U.S. Census, women are paid less than men and often these women are discouraged from asking questions regarding their pay. What also adds to the gender wage gap is that women are predominant in fields such as domestic work, or minimum wage earning positions. While the gender wage gap is not a result of a woman’s decisions or actions while at work, it’s an issue that women must come together to resolve. Patricia Arquette is asking you to help by signing the petition to ratify the Equal Rights Amendment. Even more so, she pleads that you send a letter to your elected representatives, asking for change. To find more ways to secure equal pay for women in the future, visit the Equal Rights Advocates site. And for today, rather than wishing women a Happy Equal Pay Day, demand change, educate others, and remember what you’re truly worth as a woman!